Short steep tributary creek of the Rio Espolon just outside of the town of Futalueufu. Flowing out of Lago Rosas the river plunges through a short but formidable canyon. Also known locally as Arroyo Loco or “crazy creek” the run is logistically simple. 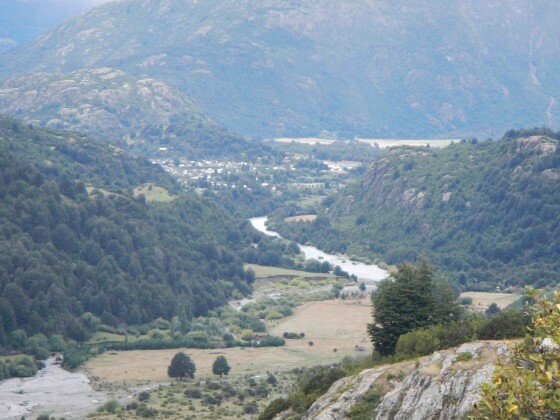 From town of Futaleufu in Chile´s 11th region take the road road out of the north end of town on Calle Pedro Aguire Cedra and go 2 km and cross over Puente Bellavista 1. Continue another 200 meters and turn right on gravel road. Continue 1.7 km (veering left at one point) to a small bridge over the creek. This is the best takeout. Park on other side and start hiking up the alongside the river under the power lines. Soon the trail gets very steep and stays so for over an hour hiking. Finally the trail levels off and as soon as you glimpse Lago Rosa in the distance you need to peel off and find a trail down to a green pampa down below. Once at the pampa it is 200 meter bush whack down to river level at mouth of lake. The standard run back to the small bridge takes over an hour with ideal flows off 300 to 750 CFS. Runs is basically continuous class 4 but with water good flow can be pushy. 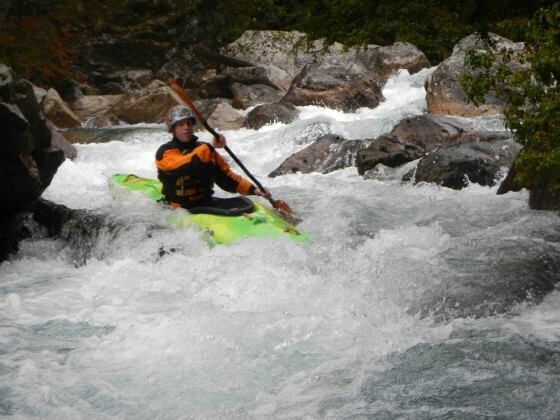 If you want you can continue downstream a few more kilometers into the Espolon and boat to town or even continue into the Inferno Canyon of Futaleufu. Note the lower Rio noroeste is choked in with willow trees so not really recommended.